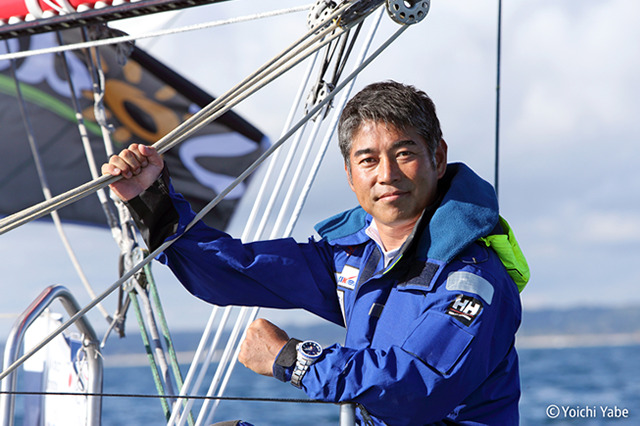 Seiko’s adviser, Kojiro Shiraishi, sets sail in the world’s harshest yacht race, the Vendée Globe. On November 6, 29 sailors will cross the line at Les Sables d’Olonne in Western France at the start of the Vendée Globe, the solo, non-stop, round-the-world race. Among them will be Kojiro Shiraishi, the first ever sailor from Asia to try his hand in this, the world’s toughest ocean race. 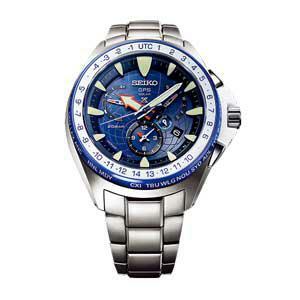 On his wrist will be the Seiko Prospex Marinemaster, a GPS Solar watch that Kojiro himself helped to design. Seiko wishes Kojiro the very best of luck. Born in 1967, Kojiro was raised in Kamakura. After his graduation from a high school specializing in ocean science education in Kanagawa Prefecture, he was apprenticed to Yuko Tada, the first champion of a round-the-world single-handed yacht race named Around Alone. In 1994, Kojiro became the youngest person to complete a solo non-stop round-the-world trip. Since then, he has competed almost continuously in other yacht and adventure races. In 2006, he sailed in a class one (60 feet) round-the-world single-handed yacht race, 5 Oceans, and finished in second place. In 2008, he and his team lowered the world record between San Francisco and Yokohama when he participated as a crew member on a French Catamaran ‘Gitana13’. 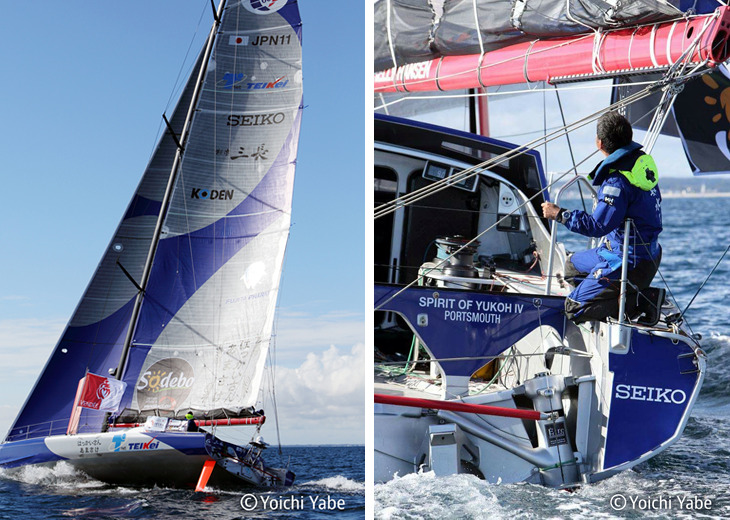 In the 2016 Transat New York-Vendée, known as the prelude to the Vendée Globe, held from May 29 to June 11, he finished seventh, which gave him the opportunity to take part in the Vendée Globe. This GPS Solar watch adjusts, with one touch of a button, to the exact local time anywhere on earth, on land or at sea, using just the power of light. This function is especially useful when a sailor is in the waters near the poles, where time zones change with far more frequently than at the Equator. Furthermore, the Dual-Time function allows an ocean sailor to know at a glance the time in his or her home port, as well as local time. The case and bracelet are made of corrosion-resistant titanium, protected by a super-hard coating and a ceramic bezel. On Kojiro’s advice, they are shaped to avoid any edge catching a rope or line. The watch is 20 bar water resistant, with a screw-down case back and crown. Excellent legibility in any weather, day or night, is ensured by the sapphire crystal (coated inside and out to minimize glare), the wide, prow-shaped markers and Seiko’s latest Lumibrite coating. The crown and buttons are easy to use, even when gloves are worn. The Vendée Globe is a round-the-world single-handed yacht race in which the racers sail non-stop and without assistance. The race was founded in 1989, and since 1992 has taken place every four years. The 2016–2017 race starts on Sunday, November 6. The race record is 78 days. Since its inception, 138 sailors have accepted the challenge. Just 71 have completed the course.